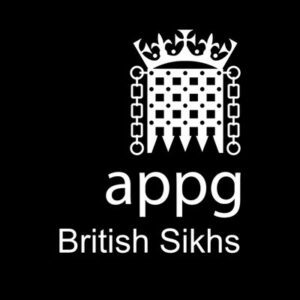 Is the All Party Parliamentary Group (APPG) for British Sikhs truly representative? The APPG for British Sikhs has over the Past 12 months made successful efforts to keep Sikhs in the Lords excluded from its deliberations. By chance I learnt of Tuesday’s AGM and accompanied by Lord Suri, attended the AGM to try to get the Group to issue a statement of concern over the bullying attitude of the Department for Education (DfE) in giving of a 2-week ultimatum to withdraw funding and move to a closure of a Sikh school, Seva School in Coventry unless it agreed to be run by Nishkam. Nishkam is a group regarded by many Sikhs as outside mainstream Sikhism, with a spiritual Head to whom some followers owe total allegiance. Lord Suri and I were surprised at the poor attendance at the AGM, with one MP brought in for a while to make a quorum. After Preet Gill MP asked the 5 MPs present to confirm her as Chair, I spoke about the widespread concerns of parents, governors, staff, the Council of Gurdwaras in Coventry, the Sikh Council and the Network of Sikh Organisations and others. I also mentioned that an earlier complaint made by me of racist behaviour towards the school (in which Sikh teachings were labelled extremist and negative) had been upheld in an investigation by Sir David Carter a top civil servant with the DfE, with a promise of more supportive behaviour by the minister Lord Nash. Unfortunately, the harassment has continued culminating in a 2-week ultimatum of a cessation of funding unless the school agreed to be run by Nishkam. Preet Gill MP seemed irritated by both my presence at the meeting, and because I had raised an issue about which she had clearly not been briefed by the Sikh Federation UK, the official secretariat of the APPG. She expressed her admiration of Nishkam. However asking a mainstream Sikh school to join Nishkam with its different ethos, is like asking a Church of England school to join a group led by Jehovah’s Witnesses. She then queried my credentials in raising the widespread concerns of the Sikh community. Ignoring the need for urgent action, she said that she would have to carry out her own investigation and consult local MPs, as if their views counted for more than those of the Coventry Sikh community and two national Sikh bodies. Lord Suri and I, were perhaps, even more disappointed by the mute subservience of the 5 MPs. There was no discussion about the DfE’s bullying and racist behaviour, or the need for government to understand a little about Sikhism and the Sikh community. The MPs expressed no sympathy or concern over an issue affecting Sikhs and the education of our children. Lord Suri and I left the meeting with the knowledge that the APPG exists only to further the interests of the Sikh Federation UK, and not those of the wider Sikh community.